The Soundgarden guitarist plays a hometown gig with a revamped version of short-lived but influential proto-punks MC5. After months of crate digging, he finally found it. Back in the mid-’70s, Kim Thayil was a Chicagoland teen listening to bands like Kiss and Aerosmith, and whichever other hair-flipping rock bands were featured in Creem and Circus magazines. Throughout the pages of those once-revered hard-rock chronicles, he discovered references to bands like the New York Dolls, the Stooges and MC5. It took several months, but the future Soundgarden guitarist eventually turned up a used copy of “High Time,” the last studio album from recalcitrant proto-punk greats MC5. It was a “significant point of passage” in Thayil’s musical education, and 40 years later the guitarist — who has similarly influenced another generation of musicians — finds himself playing with a reincarnated version of the Motor City Five to celebrate the 50th anniversary of its seminal “Kick Out the Jams” LP, playing the live album in its entirety. Aligned with the White Panther Party, the Detroit agitators — who received their fourth nomination for the Rock and Roll Hall of Fame this week — laid an unruly, politically charged blueprint in the late ’60s that would inform some of the earliest punk bands. For this anniversary run, founding guitarist/author Wayne Kramer hand-picked a lineup featuring Thayil, Fugazi drummer Brendan Canty, Marcus Durant of Zen Guerrilla and Faith No More bassist Billy Gould (who replaced King X’s Doug Pinnick in July). Soundgarden and Pearl Jam drummer Matt Cameron has joined the band, billed as MC50, for a dual-drum assault on select dates, including their Oct. 16 gig at the Showbox. L.A.’s Starcrawler and Olympia punk vets Fitz of Depression open. Though he hadn’t heard from Kramer in a while, Thayil sat in on a few songs when an MC5 reunion tour (featuring Mudhoney’s Mark Arm filling in for the late Rob Tyner on vocals) hit Seattle more than a decade ago. 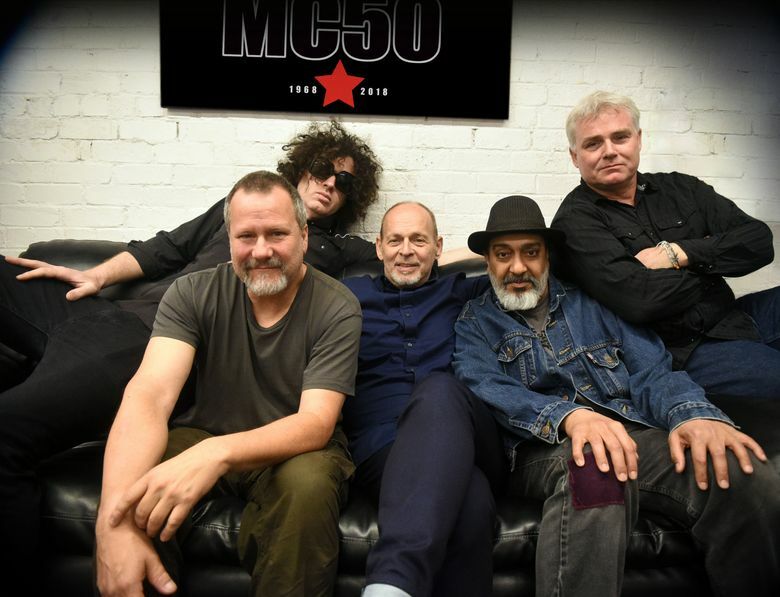 Thayil contradicts himself a bit describing his decision to join the MC50 tour, calling it an “obvious no-brainer” but admitting it required some thought. 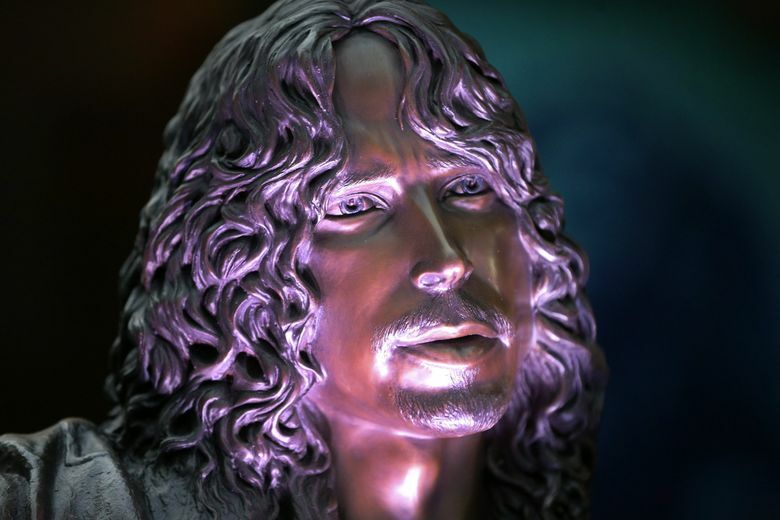 After the death of his friend and Soundgarden mate Chris Cornell, Thayil wasn’t sure if he was ready to make a creative and emotional commitment to another group. Seattle fans got a taste of what the Thayil-Cameron connection can do with MC5’s incendiary material when Thayil joined Pearl Jam for a punchy “Kick Out the Jams” cover during the second of the band’s Home Shows in August. As much fun as they were clearly having on stage, Cornell was on everyone’s minds that night, with Pearl Jam covering his low-rumbling rarity “Missing” and Thayil sporting a T-shirt with the late singer’s visage. In many ways it was like “being with the Soundgarden family,” Thayil says, noting both bands share many of the same crew members. But for now, Thayil’s having a blast touring with MC50 and looking forward to playing a hometown show, which he says are always “a little bit nerve-wracking.” Like most everyone in the Seattle music scene, Thayil has fond memories of the Showbox, seeing and working countless shows there in the ’80s when he worked at KCMU. And of course, there was that infamous Soundgarden reunion in 2010, when the quartet performed together for the first time in 13 years.